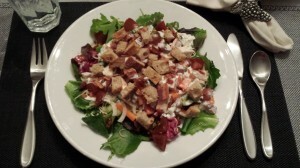 Chicken BLT Salad. What to do with leftover roasted chicken? Many ideas came to mind, including my Chicken and Spinach Enchiladas with Green Chiles, my Chicken Salad Sandwich, and my Festive Chicken Taco Salad. I love my festive chicken taco salad…yet this time, I wanted to make a salad that works with an Herby Buttermilk Dressing that I made. 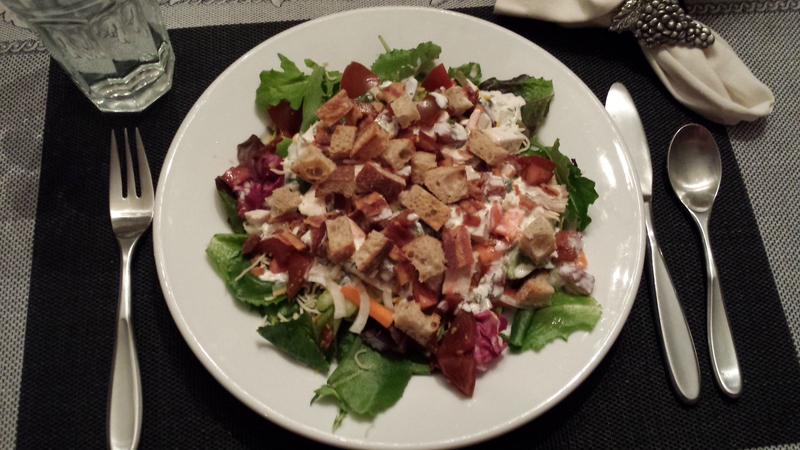 A composed Chicken BLT Salad seemed to be the best option for a satisfying meal. This salad only requires mixing up a dressing, and slicing or chopping some ingredients. Super easy and even your kids can help out! 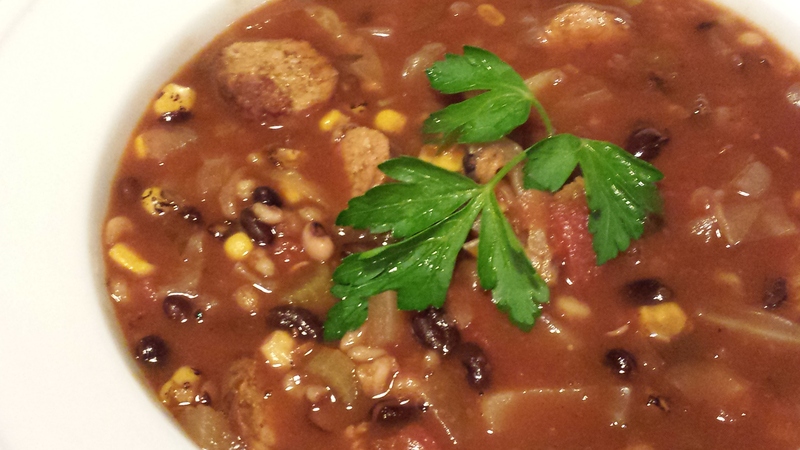 It’s an easy weeknight dinner that your family will love. 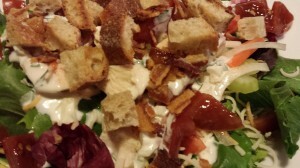 Diced roasted or cooked chicken, tomato, celery, carrot, onion, shredded cheese, and, of course, crispy bacon, served over mixed greens, drizzled with an herby buttermilk dressing, and topped with crispy toasted croutons — it’s the bomb! 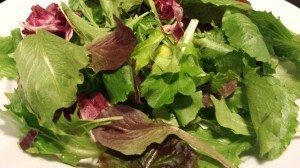 Start with some fresh spring mix or other salad greens that you like. Divide the greens amongst your plates. 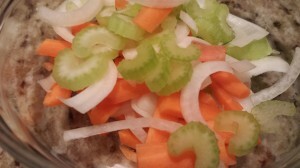 Slice some carrots, celery, and sweet onion. You can use scallions, too, but I was out of them. Drizzle some Herby Buttermilk dressing over the spring mix, and then top with the celery, carrot, onion mixture. Top with shredded cheese, and drizzle a bit more dressing on top. Dice some roasted or cooked chicken and some tomatoes. 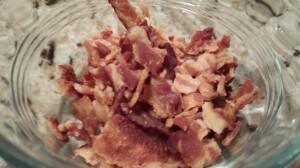 Crumble some crispy cooked bacon. Add the diced chicken and tomato. 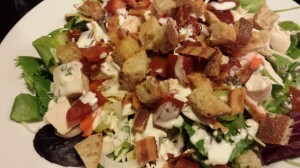 Top with crushed bacon and toasted croutons. And serve!!!! Whisk all ingredients together in a non-metallic bowl. Refrigerate up to three days. Makes about 2 cups of dressing. This is a “taste of summer” dressing that you can enjoy year-round. 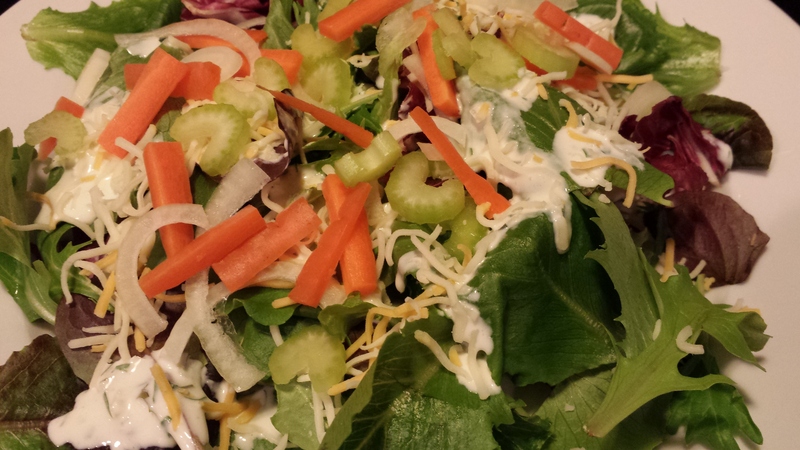 You can substitute Greek yogurt for the mayonnaise in this dressing with great results! 1. Divide the spring mix amongst four plates. 2. Drizzle some of the herby buttermilk dressing over the spring mix on each plate. 3. 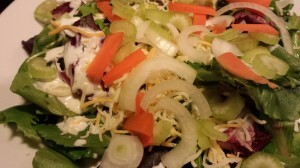 Divide the carrots, celery, onions, and shredded cheese over the spring mix on the plates. 5. 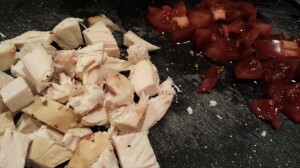 Divide the diced chicken and diced tomatoes amongst the salads. 5. 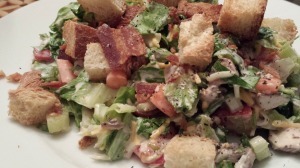 Divide the crumbled bacon and the croutons amongst the salads. Serves 4 as a main course. 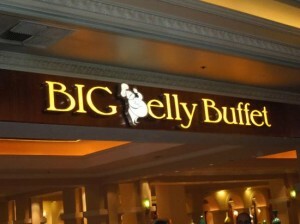 This is a great party buffet dish as long as you serve the dressing and the croutons on the side. Variations: Use chopped Romaine lettuce instead of spring mix. Omit the chicken and bacon for a vegetarian meal. 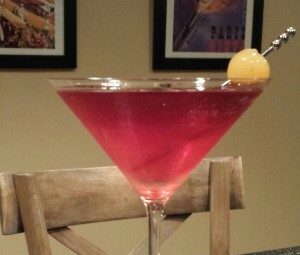 Use Swiss cheese instead of the Cheddar Jack cheese. Use ham or turkey instead of the chicken. Use scallions with, or instead of, the sweet onion. Add some diced avocado. 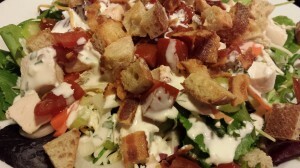 Omit the cheese and bacon, and decrease the amount of dressing, if you are watching your fat intake. You can also omit the croutons.